The most talented Balloon Decorators! We have been in the Event Entertainment business since 2001 — performing at thousands of birthday parties and corporate events! 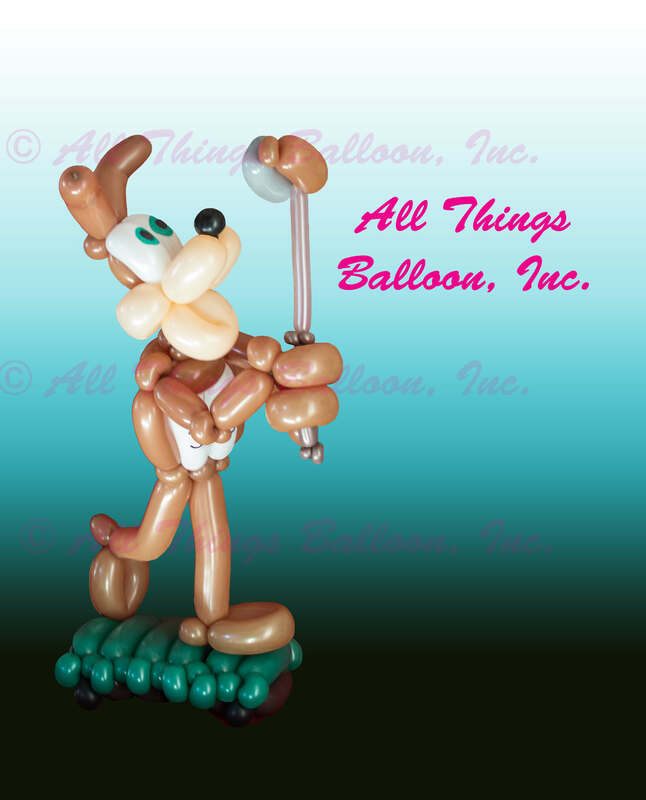 Our business started as Balloonamations (a sole proprietorship), and since then as All Things Balloon, Inc since 2012. 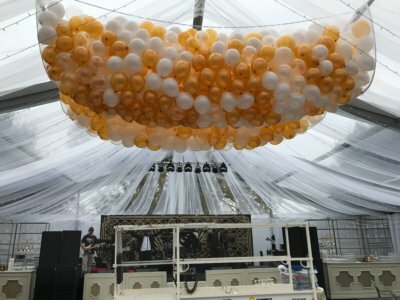 Over that time, we have attended many balloon conventions, learned concepts and techniques from hundreds of balloon training DVD’s and PDF’s, and have participated in “balloon jams” with some of the industry’s most awesome Balloon Artists and most prolific Balloon Decorators. Our current designs come from a variety of sources, and quite a few of them were actually created by our very own Master Balloon Artist Ernie!! Sheryl Meade started Balloonamations in early 2001, focusing on table side balloon entertainment in numerous local restaurants. Soon she was twisting balloons at kid’s birthday parties and a whole host of business/corporate events. 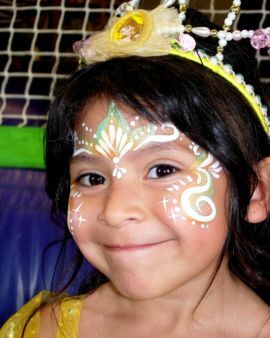 Along the way, Sheryl also partnered with a number of fantastic face painters to offer a more complete entertainment package for kid’s birthday parties and other local events. 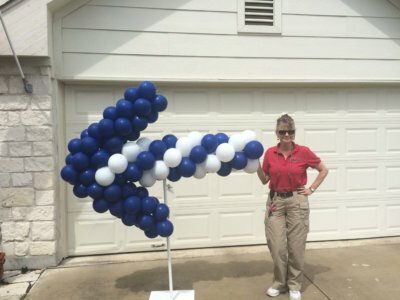 Ernie Shown, a 17-year USAF veteran, married Sheryl in 2003, and started on his path to become the absolute best balloon artist in San Antonio, TX. (Click here to see an interview conducted by San Antonio Magazine). We also appeared on KSAT 12’s SA Live TV show a couple of times — click this link “SA Live TV spot” and this link “SA Live TV spot 2“to see these clips. 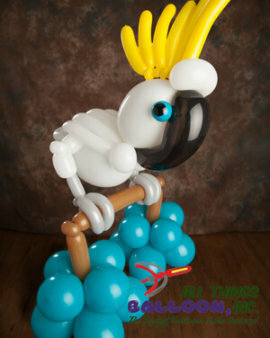 And then check out the Team entry Ernie to view some examples of his balloon artistry/creativity! Birthday parties are a special time to celebrate the life of our most valued possessions: our kids! And what better way to celebrate their exuberant life than by hiring dynamite entertainers for their special event? All Things Balloon, Inc. can supply top-notch event entertainment in the form of balloon twisters, face painters and Singing Telegrams throughout the local San Antonio area! 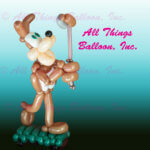 Beautiful balloon decorations for any event! 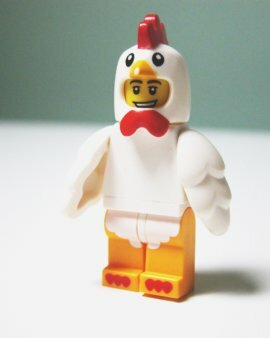 Allow us to introduce our professional staff. Sheryl Meade – Balloon Twister, Balloon Decorator, and Singing Telegramist. 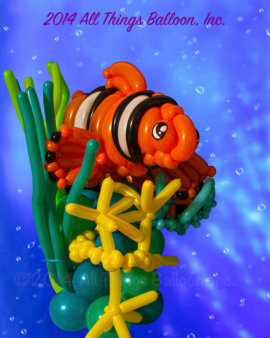 Ernie Shown – Balloon Artist and Balloon Decorator. Olya – super-talented Face Paint artist. Kentucky – super-talented Face Paint artist. Callie – super-talented Face Paint artist. Our highly trained entertainers will brighten up just about any type occasion, and they are sure to dazzle and delight guests of all ages! 9 really cool party ideas!